The Washington Free Beacon reported on Thursday that the two lead authors of the highly critical letter were paid $2,500 by McCaskill's campaign just three weeks after the letter was published. Both the campaign and the firm, TGH Litigation LLC, have failed to respond to inquiries into the purpose of the payment. 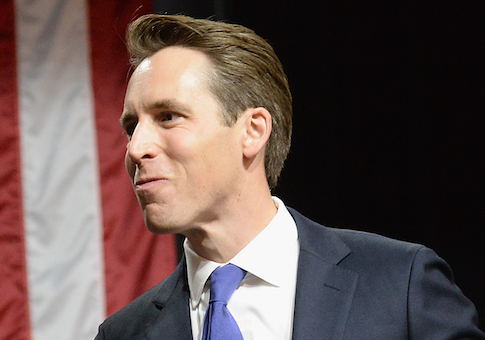 Hawley, asked about the report during a Fox News radio interview, said he hopes it's not the case that the two Missouri lawyers, who both worked for the previous attorney general, were being paid by a political campaign to criticize him. "It's very troubling, certainly for the attorneys involved," Hawley said. "I hope it's not the case, it would probably be a violation of their obligations as members of the Bar, to get paid to express what were supposedly political opinions." Hawley initially wrote off the letter criticizing him as "incompetent," calling it a partisan attack by lawyers who had an "axe to grind" with his office. "It was always absurd, by the way, these are people who had been warned by my office for engaging in unethical conduct to begin with," he said. "They were never the best of sources, but to find that they had taken money from the McCaskill campaign for something is really troubling." Hawley also urged McCaskill to provide clarity on the situation. "McCaskill ought to answer questions, why is her campaign paying these people and what is she paying them for? Let's have some answers." The $2,500 payment to TGH Litigation LLC was the first made to the firm by McCaskill's campaign. The firm's specialty is worker discrimination and civil rights cases.